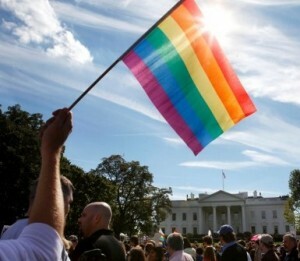 About to turn in for the night, but I couldn’t go to bed without pointing out that today, the Democratic Party became the first major political party in the history of the United States to officially adopt the belief that every single American deserves the freedom to be able to marry the person they love. And this evening, nearly every single speech — including the home run delivered by First Lady Michelle Obama — contained multiple mentions of LGBT equality. What a remarkable time to be alive and working for justice.